Will I remember this dream? Everyone dreams multiple times per night. On the average morning though, the majority of people can’t recall more than scraps despite the fact that they dream vividly for a quarter of the night, on average. That’s two hours of dreaming lost down the memory hole per eight hours of sleep. Why? The biggest reason: dream memory is short-term. The more you think about something other than your dreams when you wake up, the more distance is put between you and those elusive memories. If you hit the ground running when you wake up, fuh-get about it. The memories aren’t likely to come back anytime soon. Also, many people don’t see the point of remembering dreams and aren’t in the habit. And sometimes people don’t want to remember. Dreams can be unpleasant and uncomfortable. Remembering your dreams is a simple proposition if it comes naturally, but it’s difficult for the majority of people. They wake up and draw a blank. They might presume they don’t dream at all. Complete lack of dreaming only happens in cases of rare clinical conditions such as brain damage. Otherwise, everyone dreams. It’s necessary for the health of the body, mind, and spirit. The two biggest factors are time and desire. Remembering your dreams requires time to focus on it. It’s something you have to want to do. The desire comes naturally if you know the many rewards of a rich dream life. Otherwise, you aren’t likely to devote the time and effort. Use the following tips and suggestions for remembering dreams and improving recall. 1. Devote your first waking moments to thinking about what you dreamed. The window of opportunity to remember dreams after you wake up is five to ten minutes, according to studies. In my experience, it’s more like a few minutes or even just a few seconds. If I wake up to a phone call or other distraction before remembering my dreams, I might recall fragments later, but the nuances and details disappear. My head is too full of other thoughts. When you wake up, keep your head clear and search your memory for the last thing you remember about your dreams. Grab hold and work your way back. You don’t need to start journaling right away. Usually it’s better to focus initially on tracking the memories, but experiment to find what works best for you. Dreams give you insights into your mental, emotional, physical, and spiritual life. They promote inner harmony and well-being. They help you process your feelings and emotions and learn from what you experience, and can even give previews of what is coming up in your life and help make important decisions. These are all really good reasons to remember your dreams. Keep a notebook and pen near where you sleep to journal your dream memories. Use a voice recorder or app if that’s your thing. I prefer pen and paper because something about the act of writing connects me with my dreams. 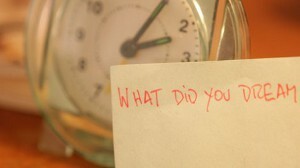 If you don’t remember anything when you wake up, write down your thoughts, impressions, and feelings. Keeping a dream journal has the added benefit of reinforcing your dream memories and tracking trends. Even people with tremendous memory will forget details from their dreams over time. Also, reading your journal before going to bed brings your dreams to mind and reminds you that they are important, that you want to remember them. 4. Remind yourself before going to bed that you want to remember your dreams. Self-suggestion is a potent tool. By doing it before bedtime you are more likely to pay attention to your dreams while dreaming and when you wake up. It cues your mind, too, so you think about your dreams first thing after waking up. It can also promote more attention to your dreams while you are dreaming, which encodes the memories into deeper storage. 5. Remember dreams while in a sleep position. When you wake up, stay in the same position. If you get up to use the bathroom or grab your dream journal, return to the same position as when you woke up. It’s a physical cue that jogs your memory. Some people remember old dreams when they go to bed at night. I know a guy who remembers dreams when he lies down to sleep. Getting into a sleep position jogs his memory. 6. Get enough sleep—deep, restful sleep. When people ask me how to dream more, I say sleep more! More sleep—especially continuous sleep—means more opportunity to dream. According to one sleep researcher, we have as many as 20 dreams per night, though the consensus falls between four and eight. The wide range might be explained by differences in how a dream is defined. The most dreams I’ve remembered in a night—full, separate, detailed dream-stories—is six. I find 20 dreams to be plausible considering that you can dream throughout the night and spend a quarter of that time in REM (rapid eye movement) stage, when dreams are the most vivid. It’s not necessary to fully remember and analyze every dream. Your unconscious mind, aka your “dream machine” knows how to prioritize. It knows to shuffle the most important dreams to occur just before you wake up. It knows when you have time to devote to dream work and when you don’t. It can wait for you to have the time and energy to process your dreams. For example, if it’s exam week or crunch time at work and you are crazy busy, you might have some vivid dreams and they might be important, but the dreaming mind is more likely to wait till you are less busy. After a really busy stretch I make a point of spending time with my dreams and getting back into good recall habits. It’s reassuring to know that my dreaming mind is patient and waits for me to pay attention. The quality of your sleep might vary, which affects how much you dream. Light and sound are disruptive. Blue LED light in particular—common to many electronic gadgets—is known to mess with the production of the sleep hormone melatonin, which in turn leads to lighter sleep and less dreaming. Phones are disruptive, especially when they beep and flash with alerts. I place my phone away from my bed so I won’t think about it or be awakened by incoming messages or notifications. A good sleeping environment is a big factor, too. You need a dark, quiet room in which to sleep, and it needs to be dedicated to that purpose. If you do other things there—especially in your bed—such as study or watch television, you create an expectation to remain awake, causing you to take longer to fall asleep and to sleep lighter. 7. Know your sleep cycle. Use knowledge of your sleep cycle to wake up with a head full of dream memories. Ideally, wake up at the end of REM stage. REM stage can last for 45 minutes to an hour, and a sleep cycle lasts for 90 minutes, average. So, rather than sleeping for seven or eight hours, sleep for 7.5 hours, because at that point you are likely to wake up at the end of your fifth sleep cycle (5 x 1.5 hours = 7.5 hours). Or sleep for six hours, enough time to complete four sleep cycles. Remember that the length of the sleep cycle varies. Experiment to find what works best for you. Most people need more than six hours of sleep, but you can wake up, write down your dreams, then fall back asleep. Waking yourself up in the middle of the night, after about four hours of sleep, is another proven method for stimulating dream recall. If you take a nap, 1.5 hours of sleep is ideal because it completes one sleep cycle. However, the sleep cycle tends to work differently while napping so experiment to find what works best for you. Some people can dream intensely during 20-minute naps, especially if they’re exhausted. Waking up naturally after a nap or full night of sleep is preferable to waking to an alarm. 8. A great time to recall your dreams is when you wake up briefly. Do you ever awaken in the middle of the night with a head full of dream memories? I do, and on those occasions I can remember more dreams with more detail than in the morning. Studies have found that “high dream recallers” have more periods of wakefulness during the night and are more sensitive to environmental stimuli while sleeping. 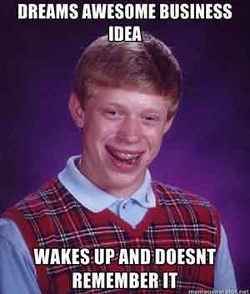 They might hear a sound and wake up briefly, whereas “low dream recallers” are more likely to sleep through it. By waking up periodically you give yourself opportunities to encode dream memories in long-term storage. If you don’t want to fully wake up and write down your dream memories, jot notes in your journal and go back to sleep. The notes will jog your memory the following morning. The more you practice remembering your dreams the better you get. It is commonly reported that people who consistently put effort into remembering their dreams remember more dreams with more detail. Your effort multiplies the benefit. In a short time you can go from remembering virtually nothing to remembering many dreams in vivid detail. 10. Clear your mind before going to sleep. Your dream recall can be affected by how much attention or energy you have at bedtime. On nights when I go to bed with a clear mind and calm feelings I remember more dreams and more detail from those dreams. When I go to bed exhausted or tense I tend to sleep like a rock and have few if any dream memories when I wake up. Of course, what applies to me might not apply to you. A few minutes of light meditation before bed or even just a cup of herbal tea puts me in the right state of mind. It is another way that preparation for dream recall before going to sleep helps you to remember more dreams. Preparation creates the expectation that you will remember your dreams. Some people open their journals at bedtime and write the date for the following day, expecting to have something to write down when they wake up. Subscribe to my newsletter and I’ll teach you how to interpret dreams. Start now! If you have difficulty remembering dreams even after making a good effort and applying the tips discussed here, consider if other factors are hindering you. For example, cannabis is a well-known inhibitor of dream memory. THC, the psychoactive compound in cannabis, is also known to affect short-term memory, where dream memories are stored. Alcohol can affect dreams by making sleep lighter, preventing you from getting as much REM-stage sleep. Some prescription drugs, especially sleep aids, affect dreams. In my experience, rather than inhibit dream memories they make dreams nonsensical and even terrifying. Withdrawing from Cymbalta and other SSRI drugs can produce horrible nightmares that have no symbolism or message. Avoidance might come into play for people who don’t remember their dreams. Dreams are challenging. They reveal what is going on beneath the surface of your mind and bring up uncomfortable subjects. Dreams can be like a hard look at yourself in the mirror, and if you don’t like what you see you might try to avoid it. Willingness to examine yourself is needed. You do want to know what’s really going on inside you, right? If your dreams make you uncomfortable, take note of something Dr. Carl Jung, the famous Swiss psychiatrist, said about them: Dreams are always for your benefit. Nightmares too. The basic purpose of dreams is to promote the health and well-being of the individual. Even when they scare you or bring up uncomfortable subjects, they’re trying to help. Dreams are a self-regulating mechanism of the psyche. The more you open up and work at remembering and understanding your dreams, the better off you will be. Finally, vitamin B-6 is shown to stimulate dream recall. Just be careful to take it in the morning rather than at night. Vitamin B can be stimulating. And, if you still wake up with no dream recall, I suggest that you still note that fact in your dream journal. Dear dream journal, no dreams to write down today, but I expect to have some soon. Do I even recall having a dream, even if I don’t recall what is was about? That’s noteworthy, too. At least I know I am dreaming. Now it’s just a matter of practicing recall tips. I know with practice and focus I’ll soon be recalling many dreams. UPDATE: I ran across another tip: shake up your sleeping environment by sleeping in a guest room or changing the configuration of your bedroom. Use these tips for better dream recall. And explore further by watching this short TED-ed video about why we dream. Great Words and i think “Clear your mind before going to sleep” is a good way to remember your dreams. Because most of theories prove that you can remember your dreams. by taking proper sleep. Practically it is also proved that due to less sleep human beings mostly forget their dreams. Even before half an hour of sleep stop doing all the daily activities like watching TV, using cellphone, laptops and other busy activities, doing some relaxing activities like take a shower or read a novel that interested to you and you can make a habit to write down your dream. These techniques will definately helpful for you to remember your dreams. I can’t ever remember my dreams but my husband dreams that I’m mean to him all the time. He had a dream last night that we were vacationing in a tiny trailer and I invited a group of dirty pot smoking friends over. The dream was long because he said that we went there several times and every time the dirty group of people would cone over. He said that they even brought their cat with that had cancer. The cat had missing patches of fur and said it’s skin was melting off like a grimlen. He just wanted to relax and I was always insistent on inviting those people over every time. I’m a very nice person so I don’t know why he has negative dreams about me all the time. The dreams are all based on his feelings and perceptions, and the character that looks like you in his dreams is just a character, like an actor. So don’t take it personally. However, you could be getting a good view into how he ticks. Like, maybe the part about inviting people over when he’s trying to relax is a way of saying he feels like you intrude on the little bit of relaxation time he gets. That’s why the vacation trailer is shown as tiny — it means “small amount of time” or “very little space to unwind.” The cat with cancer … perhaps it’s related to affection, since cats are usually affectionate. It could be a way of saying that he has difficulty giving or receiving affection, or that at certain times he’s closed off to it. You have various ways of reacting to his dreams. It’s hard to just let something like that roll off your back, but that’s really the best tact. You might ask him if he feels like he can’t unwind. 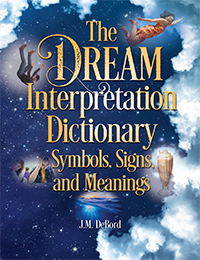 Approach the subject generally and gently probe based on what you think the dream could mean. And remember, how you act in his dreams is all about him, not you. I think “Clear your mind before going to sleep” is a good way to remember your dreams. Because most of theories prove that you can remember your dreams. by taking proper sleep. Practically it is also proved that due to less sleep human beings mostly forget their dreams. Even before half an hour of sleep stop doing all the daily activities like watching TV, using cellphone, laptops and other busy activities, doing some relaxing activities like take a shower or read a novel that interested to you and you can make a habit to write down your dream. These techniques will definately helpful for you to remember your dreams. You said, above, that out of 8 hours of sleep, 2 hours is spent dreaming. I was told, while in grade school, that a dream lasts only about 10 seconds. At the time, I could not believe that a dream as involved as some that I had dreamed could possible be less than three minutes. Of course, I wouldn’t expect one dream to last 2 hours, so I’m left with the possibility of many dreams during the night. Yet, when I awaken, I usually recall only one dream. Would that be the last dream I had while awakening, or would it be, perhaps, the most significant dream of the night? 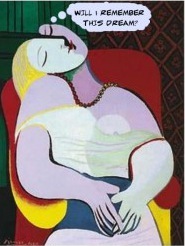 No one really knows for sure how long a dream lasts in “reality.” You can’t measure it through brain scans or anything. I have read that REM stage has been measured as lasting as long as an hour, and that after a few sleep cycles the REM stages really extend. I think a half-hour of REM is a reasonable estimate for most people if they get enough sleep. Question is, how many dreams does a person have during that time? And how many of those dreams are actually separate scenes of one dream? I know someone who had a six-part dream that was epic. It would be easy to misunderstand it as six dreams. See where I’m going with this? There’s no way that dream took only ten seconds of time. I too have heard that statistic and I think it’s based on fallacy and confusion. Dreaming refuses to be pinned down. We can come up with averages and means and standards then immediately find outlier examples that blow up those attempts. The dreams you are most likely to remember are the ones you had closest to when you woke up. For me, even after years of practice I often only pull one or two dreams out a night’s worth of sleep.